Posted in Pricing, Quantify Customer Value, Sales, Why LeveragePoint? If you’re in the pricing world you know the power of good value pricing: quantifying your value and using this in your sales collateral. At times, this is easier said than done. Having confidence that you accurately understand your total value can be a struggle. But what if your company has customer insights from your customer loyalty data; can you tap into this data to help enhance your value pricing? You bet you can! Customer loyalty data can be a rich on-going, and often untapped, source to supplement your understanding of your value to the customer. It gives insights that go beyond product attributes and into the value of the customer experience, often uncovering more value than you realize you deliver. Industry studies prove the correlation between higher customer loyalty, growth, and price. 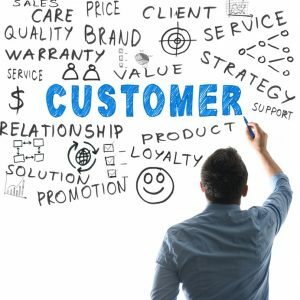 Companies are twice as likely to get a price premium with loyal customers as average customers, their retention rate increases 14%, their share of wallet 31% and their new product penetration 50% claims Fred Reichheld, author of “The Ultimate Question”. Furthermore, the Corporate Executive Board studies demonstrate that customer loyalty is driven 53% by the customer experience, 19% each from the product and the brand, and only a small percent (<10%) from price. My personal experiences with numerous businesses align fully with these studies. Customer experience is formed by your responsiveness, reliability, ease of use, relationship, selling process, and ability to bring new insights. Many of these elements can be hard to economically quantify, and thus are often overlooked in value pricing. But it is important to consider all aspects of your value, and quantify them as much as possible when doing value pricing and selling. Though Economic Value Estimation (EVE) is the best approach for value pricing, you can be left with some doubts. Have you correctly valued each driver? Have you included all of the value drivers? Do customers believe your value? Does the sales force believe your value? Are you consistently executing on your value promise? Have you validated your value proposition lately? Are these true for all of our products? Customer loyalty data, analyzed from a value pricing perspective, can be used to both refine, and enhance your confidence in your value pricing. The Net Promoter Score® (NPS) is the leading B2B best practice for measuring customer loyalty. The NPS is a very simple 2-minute survey asking customers “Would you recommend us (1-10)? Why (for a 9-10 rating) or why not (for a 1-8 rating)?” The responses can then be analyzed to determine value drivers of loyalty as well as drivers of dissatisfaction. When analyzing the NPS data, and comparing it to your EVE assessments, you may discover value drivers your customers perceive that you had not included in your value pricing calculation. For example, you may be surprised to see that customer service is something that distinguishes you. On the other hand, you may find you actually have less value in a certain area than you thought. For example, you may find customers think you have developed issues with reliability while you thought reliability was a strength. The simplicity of the NPS survey allows you to easily survey hundreds, if not thousands, of customers throughout the year. Segmenting respondents by market, customer-needs or region can be a powerful approach to understanding your value and price. For example, when looking at aggregate data of unsatisfied customers, it might be alarming if price emerges as one of the key drivers of dissatisfaction. At first glance, you may think you have overpriced. When you dissect the data by customer-needs based segments you might discover that the price dissatisfaction is limited to your price buyer group. The rest of your customers, such as technology buyers or relationship buyers, do not mention price as an issue at all. While both EVE and NPS approaches provide value driver insights they do so in different and synergist ways. EVE’s are often best for quantifying product-specific value while customer loyalty data can be more useful in understanding customer experience value. EVE’s are often done one product at a time and concentrated on new or unique products. On the other hand, NPS data provides broad, on-going data that is leverageable across your product line. This can be particularly useful for undifferentiated products where all your value differentiation lies in your customer experience and brand reputation. Using EVE’s and NPS together provides practical deep insights on products, brand and customer experience across a wider breath of your product portfolio, and with on-going refreshed insights to allow you to quickly identify changes in your value proposition over time. Together they build more confidence in your salesforce to sell your value and hold firm on getting fairly paid for your value.